CSIRO scientists have identified behavioural and personality types that can play an important role in how successfully people maintain a diet. 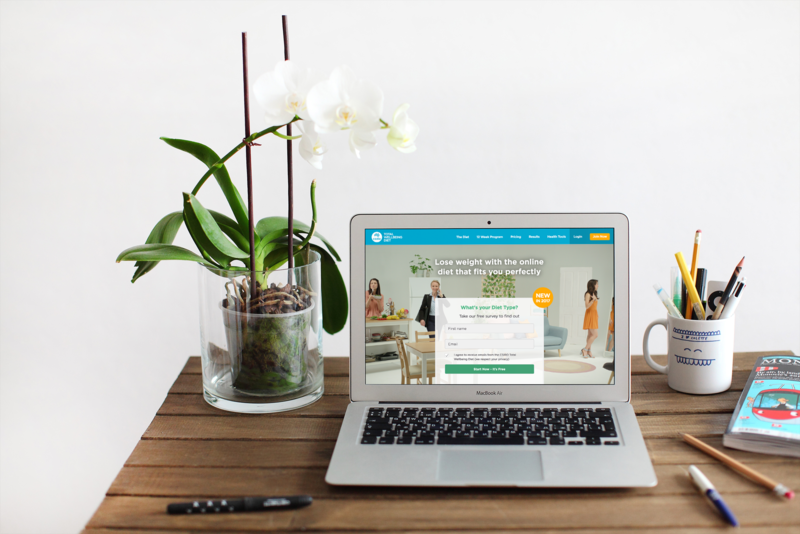 CSIRO Diet Types, a new online program, helps you understand your personal diet type and what you need to do to be successful in changing your eating habits. 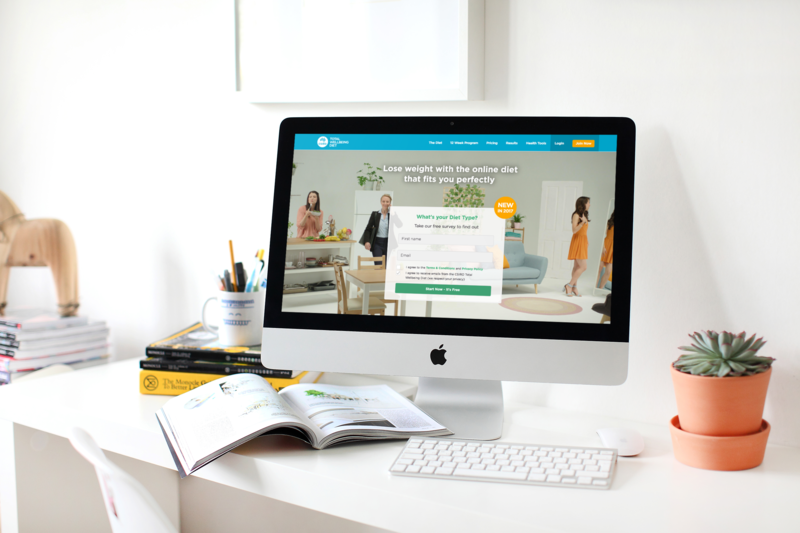 Knowing your Diet Type aims to motivate Australians to lose weight after the holiday season. The Thinker - Overthinking leads to stress and mood swings which can derail your eating patterns. The Craver - This person's heightened experience of cravings can lead to overeating in a variety of 'tricky' situations. The Foodie - Food is on your mind 24/7 – you love making, eating and experiencing it. The Socialiser - Flexibility is essential – you won't let strict food restrictions stifle your social life. The Freewheeler - Spontaneous and impulsive, you tend to make choices in the here-and-now. 'Your personality can play a vital role in your ability to persist with a healthy eating plan," CSIRO Behavioural Scientist Dr Sinead Golley said. "In spite of this, however, people often focus on nutrition and exercise information and ignore behavioural and emotional aspects that influence a person's eating. "This means many Australians are making New Year's weight loss resolutions 'blind', and not understanding what approach may best fit their personality and lifestyle, and what challenges they may face." 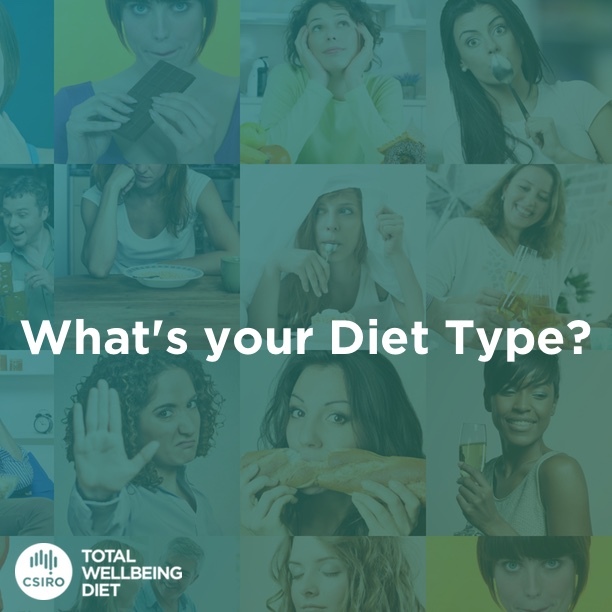 To address this gap CSIRO has developed the Diet Types assessment that looks at a person's psychological characteristics and how these can be used to personalise the Total Wellbeing Diet. 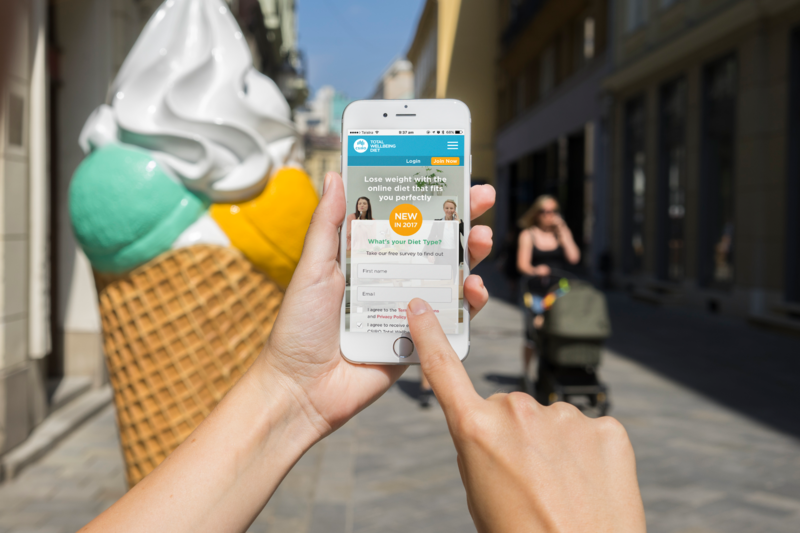 Participants fill in a short survey to receive instant, personalised feedback about the participant's diet type profile and the right strategies to manage it. "Many people start the New Year with a resolution to eat better and lose weight," CSIRO Research Director and co-author of the Total Wellbeing Diet, Professor Manny Noakes said. "But when it comes to weight loss, finding a program that fits your lifestyle can be a challenge. "Understanding your diet type offers a better way to target how you approach weight loss through connecting people with a more personalised eating plan." Information on how common your Diet Type is. Science Minister Greg Hunt congratulated CSIRO researchers on developing the new Diet Types assessment. "For more than a decade the Total Wellbeing Diet has been helping Australians to live and eat healthy," Minister Hunt said. "The Total Wellbeing Diet is one of CSIRO's major success stories and demonstrates why I believe CSIRO can become the world's premier public research organisation." New and existing members of the Total Wellbeing Diet program will also receive a more comprehensive profile of their diet type with more expert tips, a 12-week menu plan suited to their Diet Type, plus support to stay motivated. If you would like to learn more, please visit www.totalwellbeingdiet.com . 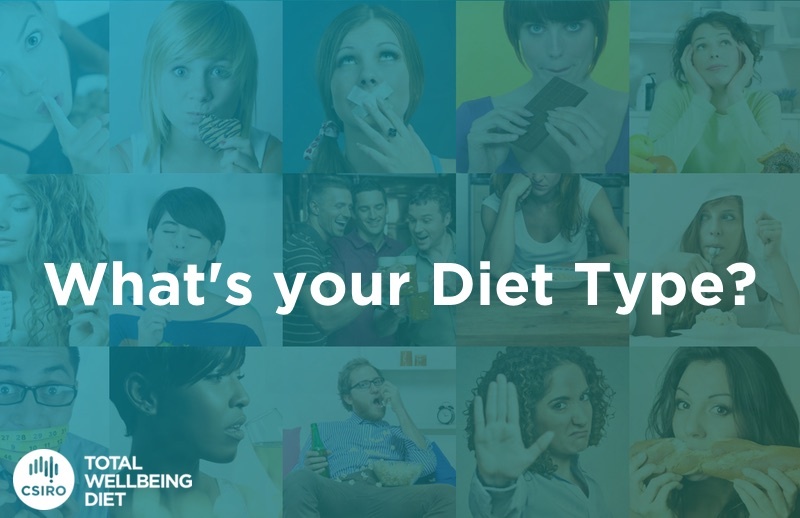 The CSIRO Diet Type survey, helps you to better understand your personal diet type and what you need to do to be successful in changing your eating habits.